Is anyone else very excited that Masterchef is starting up again tonight? It’s definitely one of my guilty pleasures…I love watching along and thinking at each stage what I would do if I were in the Masterchef kitchen (probably panic blindly, but maybe also come up with an interesting way to cook mackerel for the invention test?). There are the epic cooking disasters (chocolate fondant anyone? ), Greg’s bad jokes and the way he pronounces chorizo, and then occasionally a contestant who really stands out from the crowd. I’ve been enjoying cooking my way through this book, but the one recipe I keep coming back to is “Debbie’s Cherry Tomato, Red Lentil and Chickpea Soup” (the recipe originates with Emma’s sister Debbie). I love coming home to this soup after a wintery walk on Hampstead Heath, but it also makes a great starter. I’ve made a few changes to the original recipe – my soup is thicker and spicier, which is really just personal preference. Heat the olive oil in a large pot over medium heat, then add the onion, carrot, celery and garlic. Cook gently for about 10 minutes, stirring regularly, until vegetables are soft. Add the lentils and continue stirring for a few more minutes. Add the tinned tomatoes and stock, and bring to the boil. Add the bay leaves, ras-el-hanot, chilli flakes and season well. Cover the pot, and simmer for 45 minutes. When the soup is done, blend to your desired consistency using an immersion blender (I like mine a bit chunky). Add the chickpeas and heat the soup until the chickpeas have warmed through. Add the lemon juice and mix well. Check the seasoning, then serve. Add a sprinkle of sumac to each serving, and bring a bowl of yogurt/creme fraiche/soured cream to the table. 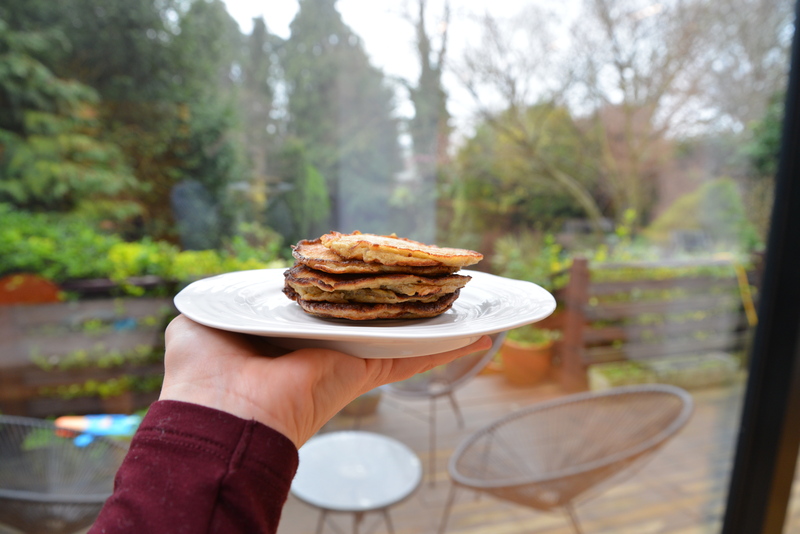 Did you see my healthy breakfast tips in The Telegraph earlier this month? The Telegraph featured several Brain Food breakfast recipes in their article on “How to make your child a healthy breakfast that they’ll actually like”. But looking through the recipes the Telegraph chose made me realize that one of my favorite breakfast recipes was not on the website at all! 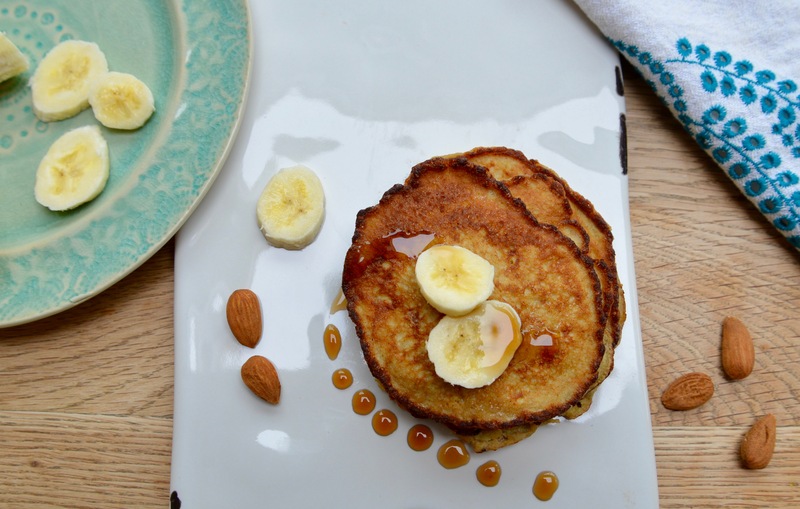 This recipe for banana almond pancakes is so quick and easy to throw together on a weekend morning, and you probably have all of the ingredients to hand. The pancakes pair beautifully with fruit and berries, a drizzle of maple syrup or a spoonful of chia seed jam. In a large bowl, mash the bananas well with a fork. Whisk in the eggs, then add the ground almonds and mix well. Melt a small spoonful of coconut oil in a pan over medium heat. Using a ladle, add about 3 tablespoons of batter to the pan. The key to these pancakes is to keep them small, around the size of a scotch pancake, as they will be difficult to flip otherwise. Using a spatula correct the shape if necessary. When the bottom side is firmly cooked, after about 2 minutes, flip over (carefully!) and cook the other side for about 1 minute. Remove from the pan, and start again for the next pancake. Just two ingredients … but they are two of my favorite ingredients! Makes about 25 chocolate-dipped cherries. Wash and dry the cherries, then place on a tray in the freezer for an hour or until you are ready to dip them. Melt the chocolate in a small bowl over simmering water, stirring occasionally, until completely melted. Set aside to cool for a minute or two. Dip the cherries one by one, then place on a tray or plate lined with parchment paper. Refrigerate until serving. For a lighter version, only dip the cherries halfway. 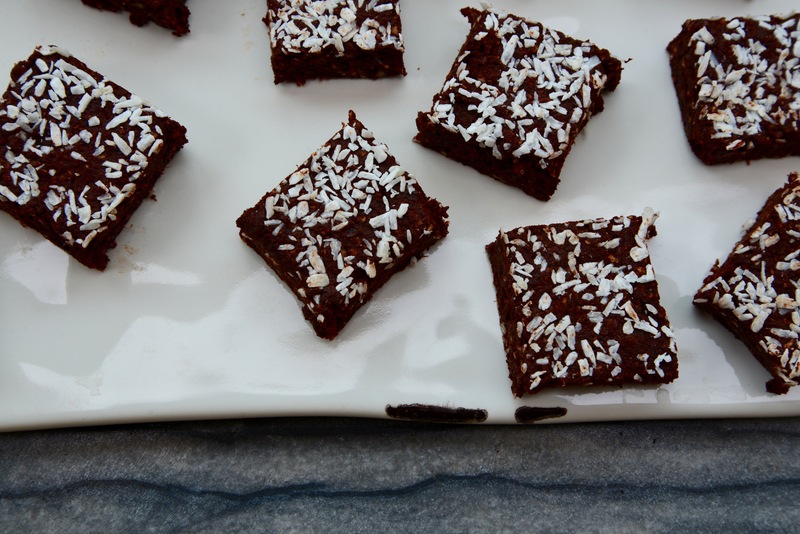 These chocolate coconut squares are free from gluten, dairy and refined sugar, but are nonetheless one of the most intensely chocolate flavoured desserts I have ever eaten. 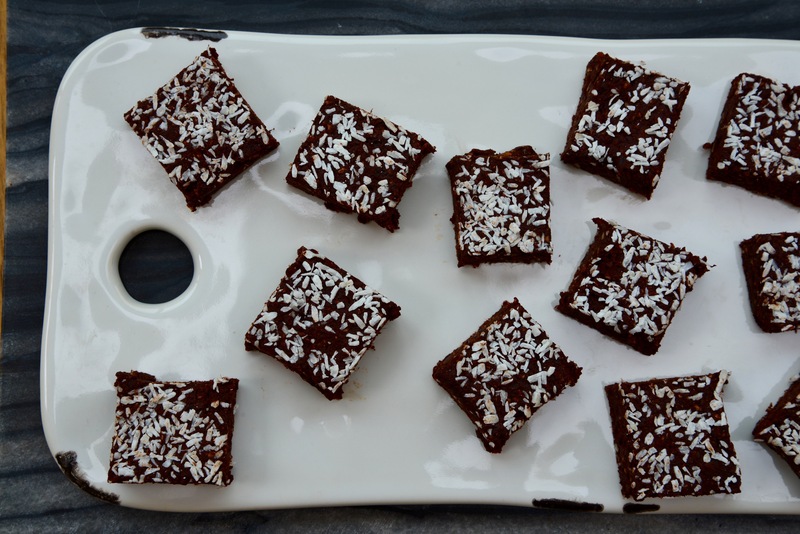 I had intended the recipe to be for chocolate coconut bars, but they came out so rich I had to downgrade the size to squares. 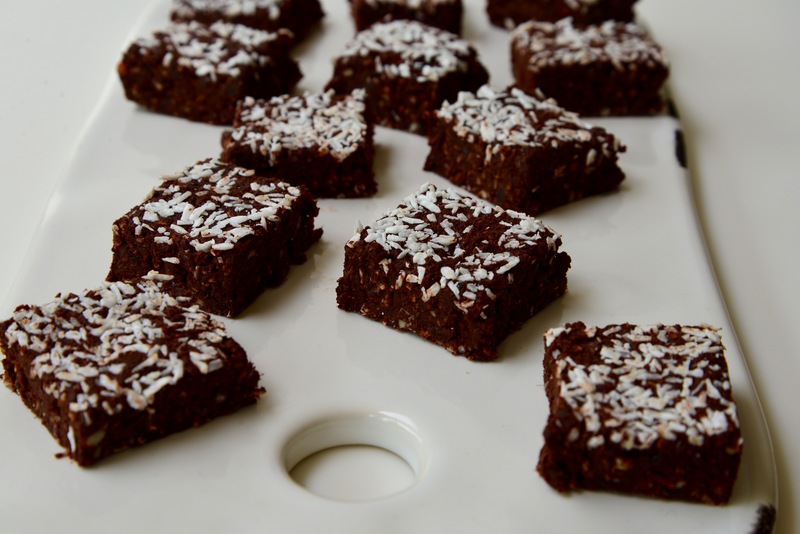 These are lovely with a cup of coffee or as an after-school treat for hungry children. Line a 20 x 20 cm baking tin with parchment paper. Put all ingredients in a blender or food processor and blitz until smooth. Tip the mixture into the tin and spread out evenly. Press down and smooth the surface with the back of a large spoon. Sprinkle a bit more coconut over the top and press into the surface. Refrigerate for at least one hour, then cut into squares. Refrigerate until ready to serve. Last week I had a great time co-hosting a fermentation workshop with Katharine Locke. After a busy morning of chopping vegetables and filling jars, we all sat down to a lunch featuring a fermented food tasting along with my new favorite lunch dish, this kimchi-cauliflower “fried rice” adapted from a recipe in Gwyneth Paltrow’s new book, It’s All Easy. Although it is not difficult to make kimchi at home (try this recipe if you want to give it a go), because I live near an excellent Korean supermarket I tend to buy kimchi in pouches rather than make my own. I do now know that the kimchi sold in pouches is well fermented, having lived through The Night Of The Exploding Kimchi. But that’s a story for another time, maybe when I finish deep-cleaning my fridge. And if you have never made cauliflower couscous (or rice), I would highly recommend that you try it. 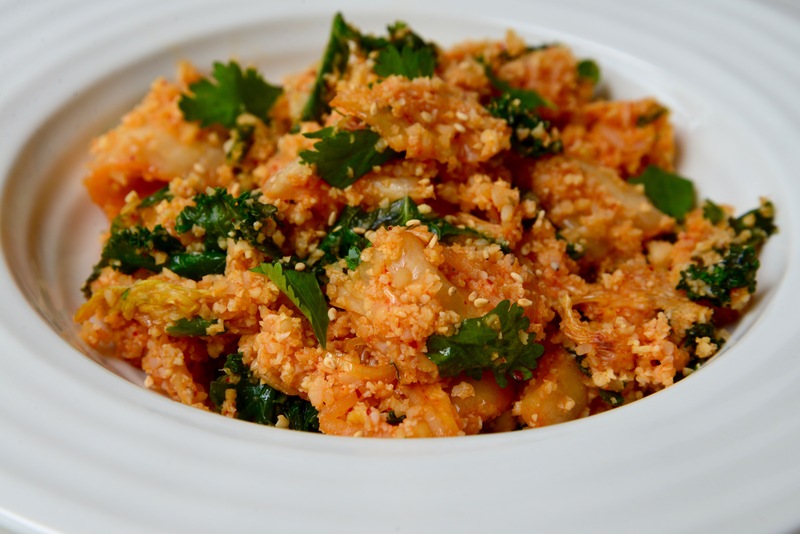 It is really tasty but low-carb and perfect for anyone on a grain-free diet. Serves 4 as a main course (lovely with a fried egg on top!) or 6-8 as a side. Pulse the cauliflower florets in a food processor until they are broken down to the size of couscous. Heat the coconut oil in a large pan over medium-high heat. Add the kale and saute for for 2 minutes, until it is starting to wilt. Add the cauliflower and the water and continue to saute for 5 minutes. Then cover the pan and reduce the heat to low for 5 minutes. Remove from heat and allow to cool. Meanwhile, combine the remaining ingredients in a bowl. Add the cooled cauliflower-kale mixture and mix well. Garnish with sesame seeds and serve immediately. I love the magic quality of this recipe, in which just one ingredient – pears – cook in a bit of water until they are completely transformed. 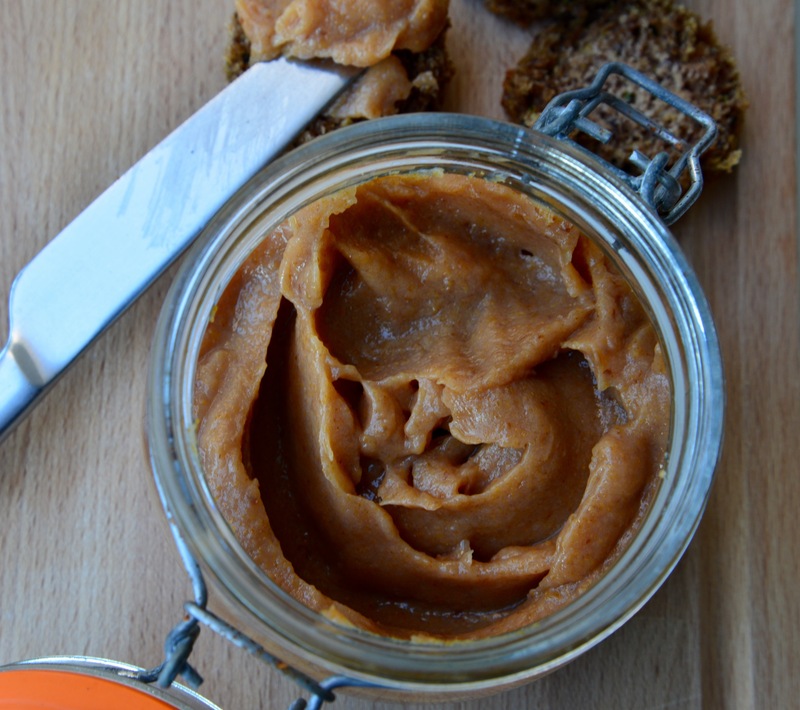 The result is a naturally sweet spread perfect for toast or pancakes, or stirred into some natural yogurt. It is also a great way to use up any pears that are less than perfect or slightly past their prime. This is good fun to make with children. 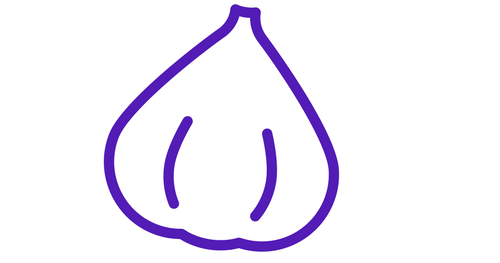 They can chop the pears and stir the pot, and will be amazed at how cooking can completely change an ingredient. Core and chop the pears, but do not peel them, and put in a pan with the water. Bring to the boil, then reduce to a simmer and cook until pears are tender, about 1 hour. Once the pears have softened, remove the lid and continue cooking for another 2-3 hours, stirring from time to time, until the mixture is smooth and brown and there is no visible liquid. You will need to stir more frequently towards the end of cooking, to avoid scorching. Cool to room temperature and blend in a food processor or blender until smooth. Transfer to a jar and refrigerate.